L enquires as to what I think is better for her in the morning - half an hour’s swim, or half an hour’s gym on the resistance machines. I always think that something which gets your heart pumping sets you up for the day and then perhaps a gym session afterwards. In the end, she also does a spin session. 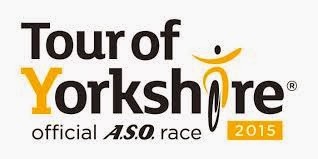 Presumably this is the first step towards the Tour de Yorkshire, which I entered us both in last night. I’m on the bus today, again wimping out because of the cold weather. Although I have ordered some new ‘sub-zero’ gloves which should help.